We buy houses Rancho Cordova! If you’re looking to sell your Rancho Cordova house fast, you’ve come to the right place. If you are, we’d love to buy it – FOR CASH! 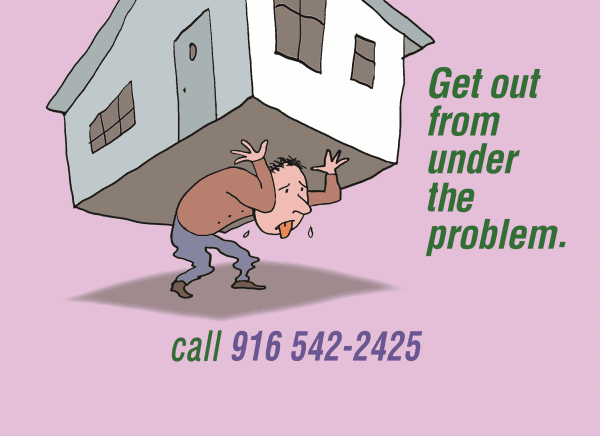 Let us make you a cash offer for your Rancho Cordova house in 24 hours or less. Tried other ways to sell your Rancho Cordova house that didn’t work? Maybe you’ve tried the conventional way through a Realtor, but that just didn’t work for you. Maybe you have a difficult tenant or the house needs a lot of repairs. That’s okay. We buy houses in their current condition. Consequently, you don’t need to make any repairs. Whatever the reason, we have several rentals in Rancho Cordova and we are looking buy more. Do you have a tenant or relative that is just causing your way too much grief? Is the difficulty of eviction just too much? – I’ll buy the house with your tenant in place. You don’t even have to tell the tenant that you sold the place if you don’t want to. Did the rest of the family put you in charge of mom’s house, but then doesn’t help? Are you stuck making all of the difficult choices and repairs yourself? – We’ll buy your house in it’s present condition so you won’t have to make any repairs. Job transfer, divorce, foreclosure, bankruptcy? Do you need to just move on with your life? We can help – we love to buying homes in Rancho Cordova! Traditional methods of selling a home typically take time. Sometimes, lots of time. If the house is dated or in need of repairs, it may take even longer. Agents attract buyers who typically want to live in the home, what I call end users. These buyers are looking for pretty and turn key, and with as little money down as possible. If they walk into a house and see the wrong color carpet – they run screaming from the house. It doesn’t matter if the house is discounted $15,000 and they can carpet 5 houses for that amount of money! The end user cannot see around even smallest of problems – it’s purely an emotional reaction. Then the agents bring the inspectors who point out every little problem. When the end user sees the 40 page report (yes, they really are that long) with big bold and red warning sections, the buyers start to get cold feet. If there’s serious problems, the buyers’ lender may even start interfering and requiring certain repairs to be done. At this point it may be all the agent can do to hold the deal together. So here’s why I’m a better option if you need to sell your house quickly. I’m not looking at the color of the carpet or getting cold feet because of some inspection report. I don’t need to borrow money from a big bank who tells me what or where I can buy because I buy with cash. If we agree on a price, I wire the entire purchase amount directly into the escrow office. I promise to make the process easy using four simple steps to help you quickly sell your house. No obligation – Not sure if this is the right decision for you? Cancel anytime up until two days before closing. We’ll tear up the contract, no questions asked. Your real estate agent won’t let you do that! You can have a fast, written fair offer if you act today. Call me right now at the number below or click on the blue button right below the number to contact me via email. I want a fair, written, cash offer today.